Travel insurance is a must, as Hotchkiss School realized. Americans, in general, do not realize the importance of travel medical insurance when they leave the U.S. This blog article is not just about ticks. But also about the need to have travel medical insurance. Organizations must minimize their liability footprint when they send people overseas on their behalf. Bad things happen, even to good people. Accidents happen, even in the U.S. But with travel insurance, a lot of the financial and emotional challenges of any medical accident that happens outside our country can be minimized by having a travel medical insurance policy next to your passport. We want to “wake Americans” up on how important it is to have solid travel insurance. Good Neighbor Insurance provides the top travel medical and evacuation cover that is a traveling person can want. 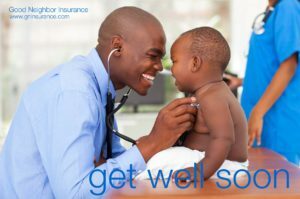 Here are a few highlights of our travel medical insurance cover. You may view all of our travel medical insurance plans at https://www.gninsurance.com/international-travel-health-insurance-plans/. Good Neighbor Insurance provides a variety of travel medical insurance from those traveling outside their country of resident to those living (also called expatriates) outside their country of citizenship. Here are a few of the many options we provide to our guests, you all, for travel medical insurance. Good Neighbor Insurance also provides Accidental Death and Dismemberment (AD&D) cover. You may view our AD&D options with international term life insurance options here at https://www.gninsurance.com/overseas-term-life-insurance/. Not only it is important for every American traveling to have travel insurance while outside the U.S. but also it is a great liability protection for the organization. Every organization who sends out employees, contract employees, students, teachers, and volunteers to the four corners of our globe have just inherited liability challenges. One of the best ways to minimize a big liability concern is to provide travel insurance, such as those shown here at https://www.gninsurance.com/travel-insurance-for-groups-traveling-together/. Safe travels from your GNI team! PS: Below is a list of links about the Hotchkiss School legal challenge.